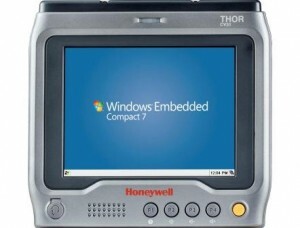 Honeywell, a global technology and manufacturing company with a diverse range of technological expertise, has announced that its new Thor™ CV31 vehicle-mount computer – which combines the latest computing technology into a compact enclosure minimising driver obstruction – is now available to Australian and New Zealand warehouses. Designed specifically for forklift and other vehicle installation, the CV31 features Microsoft® Windows® Embedded Compact 7 operating system which helps boost driver visibility by more than 20%, as well as a 30-minute backup battery and ignition control which increases driver productivity by eliminating the need for reboots and idle time reconnecting following vehicle battery swaps. This advanced vehicle mount computer is well suited to answer the demands of all warehouse operations, including cold storage environments, because it displays supply chain workflow information in a way that is in easy view and reach of drivers, without getting in the way, so they can stay focused. “Warehouse managers are today charged with leading efficiency, productivity and profit gains in order to stay apace in a highly competitive supply chain industry. 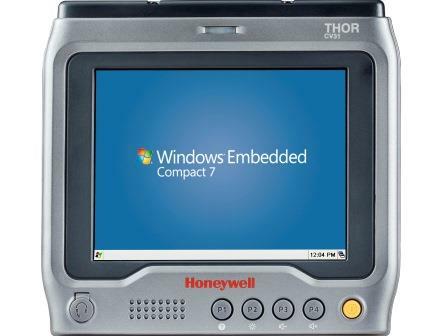 The newest Honeywell technology – the CV31 vehicle mount computer – helps warehouses deliver these performance gains, whilst also offering the additional benefits of future-proofed technology and ensuring the highest level of work place safety for employees,” said Tony Repaci, Country Manager, ANZ, for Honeywell Scanning & Mobility. Honeywell’s Thor CV31 is a true multi-modal device capable of handling complex voice, screen and scan-intensive applications. It is designed to support Vocollect voice-directed workflows that enable “hands-free, eyes-up” driving and features near-field communication (NFC) technology for easing headset pairing using Vocollect TouchConnectTM. In addition, it is compatible with the mounts, keyboards, accessories and scanners of its predecessor – the CV30 – which means “it can drop in replace” to preserve a warehouse’s previous investments, or the CV30 can be retained as part of a spares pool if necessary.